Metal Cutting. Cut Titanium. Cut Aluminum. 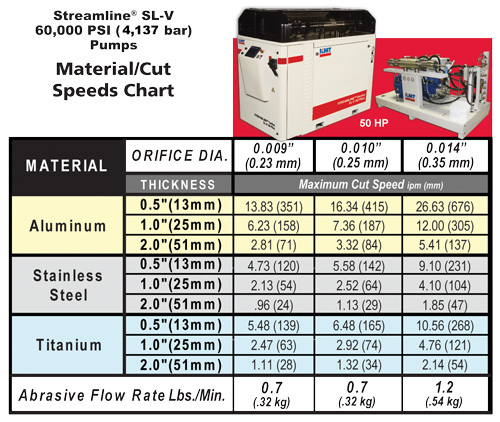 • Assuming that warping and changes to the metal structure are not an issue, what is the thickness from which waterjet cutting becomes the most cost-effective option? Depending on the material, waterjet cutting should be considered as the most viable option from thicknesses of .19"-.31" (5-8 mm). • How fast can the material be cut? 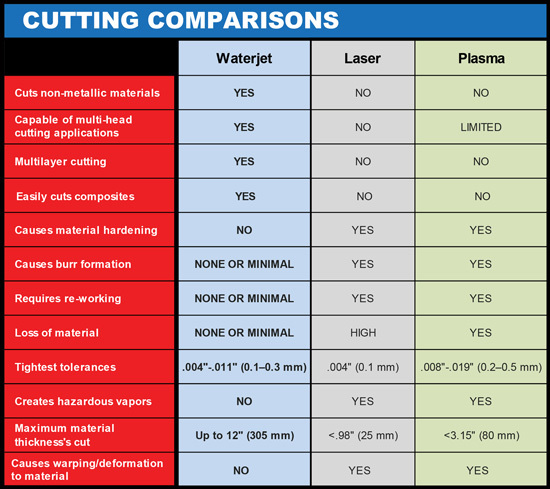 • What is the maximum material thickness that can be cut with water jets? For metals, the maximum thickness is normally 6" (150 mm). 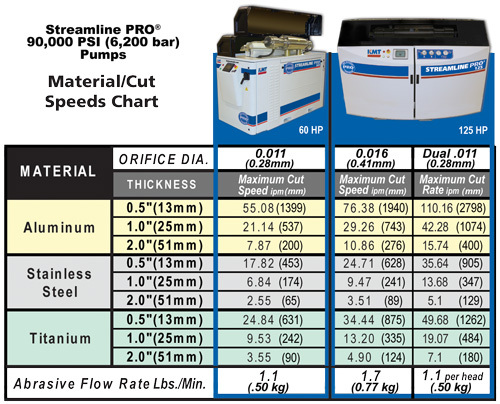 Waterjet cutting has also been used in special applications where materials up to 15.75" (400 mm) thickness are cut. • What about angle faults along the cut edge?